fused in a mass of spikes and barbs. 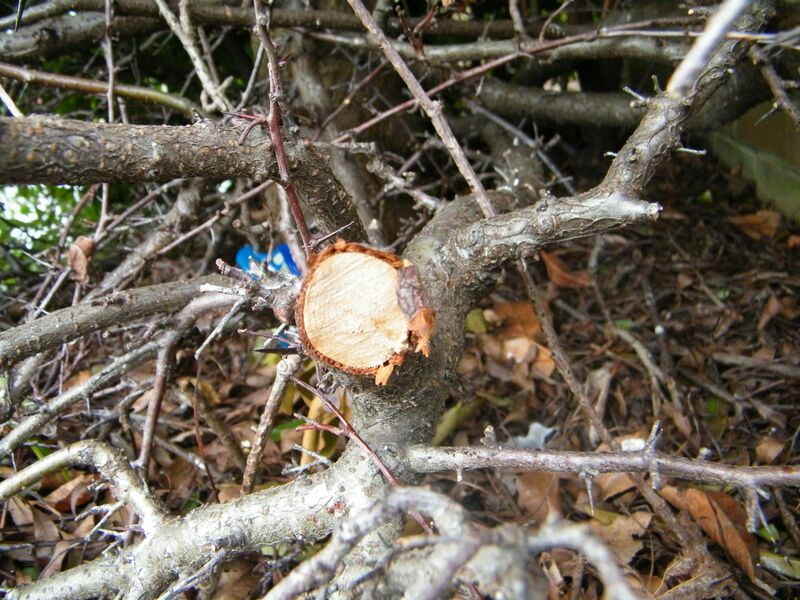 Now pull the twigs aside. tight as cables in the bitter winter. when overnight it grows a lush green pelt. Its dappled heart is loud with sparrows. No- I haven’t forgotten the Five Desert Island Poets. So far we’ve had Fanthorpe, Smith and Donne. Number Four is John Clare. Never heard of him ? Doesn’t matter. He was almost forgotten until he had a sudden and well deserved revival thirty years ago. 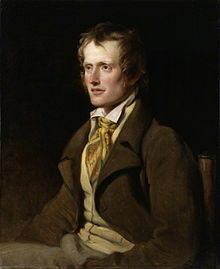 John Clare was a countryman, born in Northamptonshire in 1798. The son of a farm labourer he was used to bad weather and poor food. He went to school, though, and soon became an avid reader. His first job was as potboy at he local pub, then he was a gardener and finally worked in the fields like his father. He had started writing by this time, imitating his favourite poets. He married in 1820 and fathered seven children. His first major work was “ “The Shepherd”s Calendar” in 1827, and, though it’s regarded as a major poem now, it flopped then. He was forced to hawk it round he villages himself. The stress of providing for a family, his own physical frailty, his feeling of isolation from his peers all led him to drink and depression, and in 1837 ( after some poetic success) he voluntarily entered a private asylum, where he stayed until 1841. Then he escaped back home- it didn’t work out- and he was admitted to Northampton General Lunatic Asylum ,where he stayed until his death in 1864. There you have the bare bones of his life. Before we get on to his poetry, let’s consider the kind of world Clare lived in, for it was a very different one from our own. To start with, there were fewer people in the street. The population of the UK in the eighteenth century was around 13 million, against the 70 plus million today. If there were fewer people around, then your relationships with the ones that were there would be all the more intense. You bumped into the same people day after day for all your life. Most people lived and died within a ten mile circle. The only mass medium was the newspaper- and they were so expensive that their audience was limited to the affluent. Society was a layer cake of different social classes, and Clare was pretty near the bottom. Outside the cities, there was a silence that we cannot imagine. No traffic noise. No radio or tv. No digital media. Keep that in mind when we come to look at his poems. Which we are not going to do now- because (a) I don’t want to load you down with a great heap of words and (b) I’m typing this in a very cold room and my finger ends are turning blue with cold SO keep this frail, clever, tortured man at the back of your mind until we come back to him- and his poetry- another time. Colour Sergeant McFadden lifted my great uncle Mostyn up the bed and arranged him as carefully as one might arrange a vase of flowers. The noble head was placed at a pleasing angle on a pillow incongruously patterned with characters from Star Wars; his elegant hands positioned symmetrically on the counterpane. The door clicked quietly behind him. I could hear his footsteps clumping heavily down the stairs. My uncle Mostyn lay in the bed like one dead. I have seen medieval tombs with more joie de vivre. His breathing was as quiet as a whisper, barely moving the bed clothes ; his long fingers motioneless on the coverlet. I went over to the window and looked down into the street. The North Sea broke sullenly on a winter beach deserted except for half a dozen rumpled gulls. An angry˛ east wind rattled the windows.I watched Colour Sergeant McFadden fight his way down the street, one hand clutching a shopping bag, the other clamping a tweed hat onto his head. I turned to the motionless figure in the bed. How dreadful to die here, I thought – a grubby little flat in Scarborough in the middle of winter. His eyes began to flicker from side to side under their parchment thin lids. “I don’t regret a thing,” he said in a quiet voice. My great uncle Mostyn opened his eyes slowly, like a swimmer under water. His head made a tiny movement, the merest sketch of a nod. His mouth twitched in a smile. His eyes gestured to a slab sided sideboard that looked like a coffin. The rum was in a black bottle with no label. It smelled of treacle with a hint of kerosene. I poured a thimbleful into a glass tumbler and held it to his lips. A strange and wonderful change came over my uncle Mostyn. A pink glow drove the ghastly pallor from his cheeks; that old look of foxy cleverness came back into his eyes. I re-arranged the pillows behind his back. Sleety rain clattered at the windows. He picked idly at the sheets with his long fingers. Uncle Mostyn took another sip of his rum. Uncle Mostyn was staring pointedly at his empty glass. “It might kill you,” I said. He gave me a withering look. I poured him another drink. Uncle Mostyn ran the tip of his yellowed tongue round his lips. The rum was wearing off. Uncle Mostyn took deep, shallow breaths; the pulse in his temple twitched uncertainly. Uncle Mostyn coughed, a little, dry sound like a sick child. “Nice looking boy…” he whispered. That was the last thing he said. I must have sat there for ten minutes, watching the afternoon light fade from the window and listening to the dry rasping of Uncle Mostyn’s breathing .It happened quite suddenly, as deaths often do.The glass tumbler fell from his grasp to the floor, and a silence soft as dust settled on the shabby little bedroom.I didn’t switch on the light. It would have been disrespectful somehow. That was how Colour Sergeant McFadden found us when he came clumping up the stairs. He put down the shopping bag and started to take off his woollen gloves. He looked at me for what seemed like a long time. He knelt by the bed and took Uncle Mostyn’s dead hand in his, and his big, awkward body shook with a massive sorrow. Everyone knows about sonnets- you know- 14 lines divided into an octet, a quatrain and a rhyming couplet at the end. Shakespeare wrote 154 of them ( including the ones in his plays) and Edmund Spenser and Sir Philip Sidney were both enthusiastic practitioners. Later on, Milton wrote sonnets, as did Wordsworth, but who reads them nowadays ? Actually the sonnet has never quite gone away. “ Anthem for Doomed Youth “by Wilfred Owen is a sonnet….had you noticed that ? You don’t, straight away ,because you’re carried away by the anguish and bitterness of the poem. But you check- and it is. The fact that Owen packed so much emotional power, both personal and universal, into such a constricting format makes it even more impressive.Edwin Morgan, Robert Frost and Seamus Heaney have written sonnets as well. 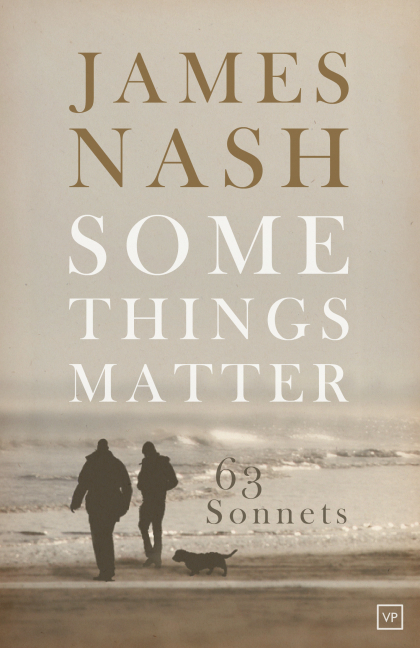 And now I come to “ Some Things Matter” a collection of sixty three sonnets by James Nash, published by Valley Press. James Nash became interested in sonnets after going to a workshop in 2009. Two years later he had written more than 160- and this collection is the cream of the crop. It’s the best poetry collection I’ve read in years- honestly. Why ? Let me tell you. Firstly, the range is immense. James Nash deals with love and loss- the stock in trade of every poet- but he also talks about sending old clothes to the charity shop, gardens, wasps- even a sonnet about bags for life. A sonnet about plastic bags ! That’s brave ! Notice that he ends on a question. No easy answers here. What about “ mourn”- we mourn for the dead, yes, but also for our younger selves, as we get older. And “ faded textures of my past” sums up, not just a bag of clothes, but our feelings towards a past we can remember, but not return to. The last point I want to make is about imagery. Good poetry has echoes, resonances, as well as explicit meaning, and James Nash is a master of this difficult art. Look at his Sonnet 24, which is about sitting in the garden one late summer evening “listening to the hidden blackbird’s song.” It’s a wonderful calm moment. And yet it will “ Not be long before the chilly wind arrives” “ Past memories must be hoarded still/ against the darkness and the loss.” Memories will help us carry on “ As darkness falls , and one of us has gone.” He means the end of a summer evening, yes- but he also means the death of a loved one. James Nash manages to do what few poets can- he puts into words the feelings we all have, and yet are too tongue-tied to express.